Frances Houghton competed at a record fifth Olympic Games in Rio and marked the occasion by winning her third silver medal. 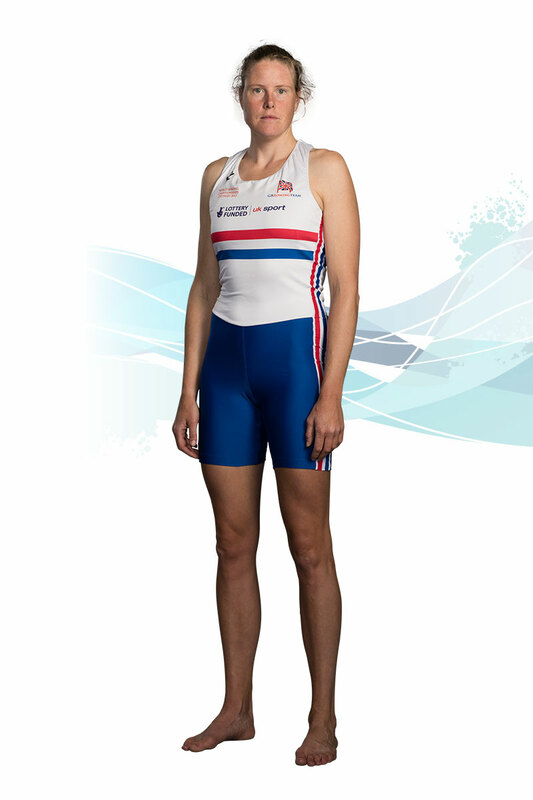 Frances Houghton is the longest serving member of the GB Rowing Team, having first joined the junior squad in 1995. Frances – along with former sculling partner Katherine Grainger – became the first British female rower to compete at five Olympic Games. She completed a hat-trick of Olympic silvers, adding to her women’s quadruple scull medals in 2004 and 2008 by helping the women’s eight make history at Rio 2016. After winning milestone medals at Junior and U23 level, Frances has gone on to enjoy a hugely-successful career and has been crowned as World Champion in the women’s quadruple scull four times. Frances switched from sculling to sweep for the 2016 season and earned selection in the women’s eight. She helped to secure an eye-catching gold at the European Championships in Brandenburg, with GB surging through to take the victory in a perfectly-judged race. 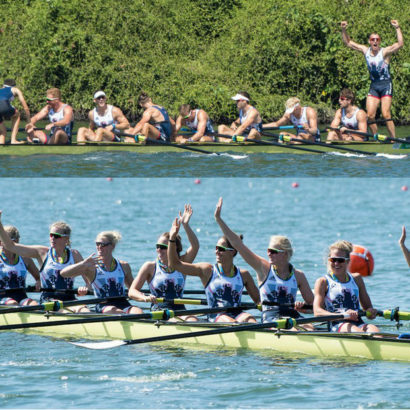 Another thrilling late push at the Lucerne World Cup saw the GB eight go mighty close to overhauling the Olympic and World Champions from the United States and they won silver again at the World Cup in Poznan, this time behind New Zealand. 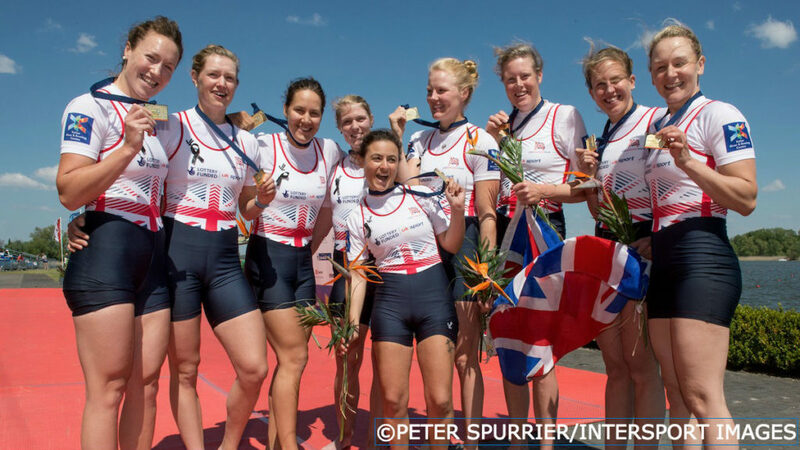 No British women’s eight had won an Olympic medal before but Frances and her crew-mates ended that wait at Rio 2016 as they took silver in a photo-finish after an epic race that featured another trademark surge through the field in the second half. Frances started the 2015 season in the women’s single scull, where she finished tenth at the European Championships in Poznan but had to miss the World Cup in Varese on medical grounds. She completed the season in the quadruple scull alongside Melanie Wilson, Tina Stiller and Jess Leyden. 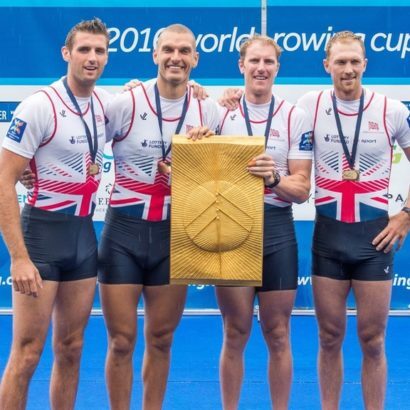 They finished sixth at the Lucerne World Cup and eighth at the World Championships in Aiguebelette, narrowly missing out on qualifying the boat for the Rio Olympic Games at the first attempt. Frances had spent 2013 and 2014 in the women’s double scull, partnering Vicki Meyer-Laker during the first season. 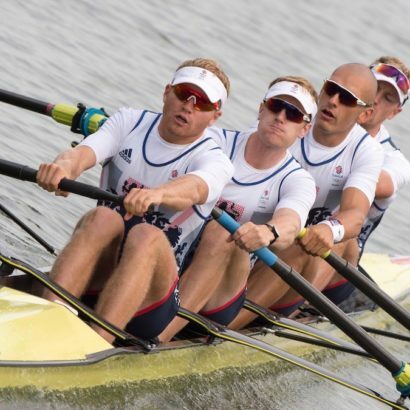 The World Cup regattas saw them win bronze in Sydney and gold in Eton Dorney before placing fifth in Lucerne. They went on to finish just outside the medals at the World Championships in Chungju. Vicky Thornley joined Frances in the double in 2014 and they finished fifth at both the European Championships in Belgrade and World Cup in Aiguebelette. However, illness then brought Frances’ season to a premature halt. London 2012 was the fourth Olympic Games of Frances’ career and came 17 years after her first appearance in GB colours. After winning silver in the women’s quad at the Beijing 2008 Games, Frances took a year out and then had to undergo hip surgery on her return to the team. However, she recovered in time to win a fourth World Championship quad gold alongside Annie Vernon, Debbie Flood and Beth Rodford in New Zealand in 2010. After starting 2011 with bronze in the quad at the Munich World Cup, injury again affected Frances’ season but she was able to compete in the single scull at the World Championships in Bled, finishing a fine fourth. Frances returned to the quad for 2012 and won bronze medals at both the Belgrade and Munich World Cups. She was selected for her fourth Olympic Games and finished sixth alongside Melanie Wilson, Debbie Flood and Beth Rodford. Frances made her competitive GB debut aged just 15 as part of a women’s quad that finished fourth at the 1996 World Junior Championships in Glasgow. She was fourth again in the women’s pair the following year in Hazewinkel before winning double scull bronze with Debbie Flood in Linz in 1998. That was GB’s first-ever junior sculling medal and the same pairing won the first U23 sculling medal when they recorded an impressive victory at the World U23 Championships in Hamburg. Frances also made her senior debut in 1999, racing at two World Cups, and was crowned as World Junior Indoor Rowing Champion in the United States. Frances secured a seat in the double for the 2000 season and made her Olympic debut at the Sydney Games, finishing ninth alongside Sarah Winckless. She renewed her partnership with Debbie Flood during 2001 and, after winning World Cup gold and silver, placed seventh on her World Championships debut in Lucerne. They improved to fourth at the following year’s event in Seville, where Frances was living and working as part of her Hispanic Studies degree course. Frances moved to the quad in 2003 and narrowly missed out on a medal at the World Championship in Milan. However, 2004 proved to be an excellent year as the quad won World Cup gold in Poznan and Lucerne before claiming Olympic silver in Athens. Alison Mowbray, Debbie Flood and Rebecca Romero were also in the boat. The next Olympiad saw Frances form part of an outstanding women’s quad that won three successive World Championships titles from 2005 to 2007. 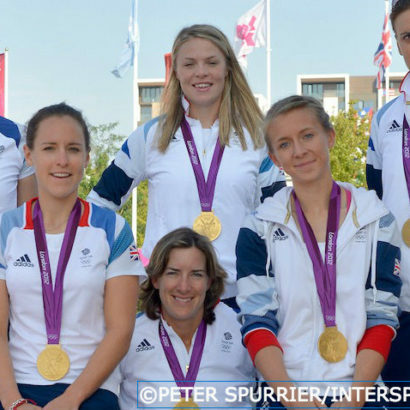 That made them favourites for gold at Beijing 2008 but, in an agonising final, the quartet of Frances, Katherine Grainger, Annie Vernon and Debbie Flood were overhauled by China in the dying stages and had to settle for silver. 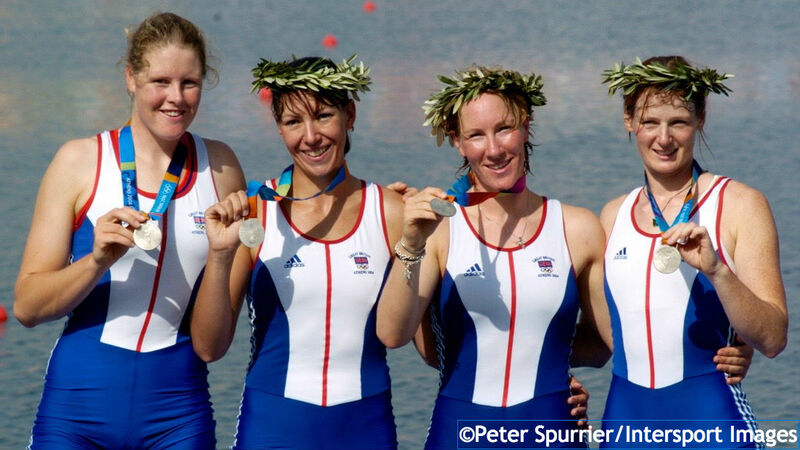 Frances is celebrating 20 years since she first became a member of the GB Rowing Team, having joined the junior ranks in 1995. If she could swap places with another sportsperson, it would be with “one of those young ones that still have it all ahead of them”. She has a great love of food and cooking. During a year out from rowing in 2008-9, she spent three months training to be a professional cook at Ballymaloe Cookery School. She then went on to work both as a private cook for a family and at the popular London restaurant, Ottolenghi. 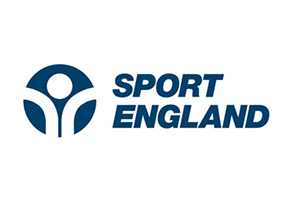 Frances is Lottery funded through UK Sport. The GB Rowing Team’s one gold, two silver and a bronze medal world cup performance in Switzerland today was somewhat undermined by illness.